Adfonic (which bills itself as “the smarter mobile buying platform”) has announced the availability of its mobile demand-side platform (DSP) Madison, which the company claims gives large-spending advertising agencies and brands greater transparency, control and efficiency through access to a broad range of real-time bidding (RTB) inventory. Madison integrates with a range of RTB inventory sources, rich media platforms and third-party ad serving platforms. Among the RTB sources are Admeld, Google DFP and MoPub. It supports the rich media platforms Celtra, MediaLets, Mobile 5 and Phluant. And, works with third-party ad servers DoubleClick, MediaMind, Mocean Mobile and Weborama. Madison is designed for transparent buying across multiple publisher sources through a central buying point. This feature enables full control over inventory sources, giving clients a clear view of the value of what they are buying, with real-time analytics and reporting at an individual exchange level. On top of that, Madison enables agencies to buy mobile inventory more using advanced algorithms that bid on a per-impression basis and a fully automated marketplace optimized around value and results. Transparent buying across multiple publisher sources. 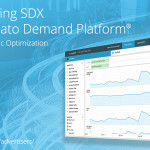 Full control over ad placements, with comprehensive real-time performance reports. Increased margins through a sophisticated bidding model on RTB exchanges, and the capability to increase the maximum bid price to drive increased spend and inventory. True buying granularity through per-impression optimization, powered by algorithms that determine where to place bids on a per-impression basis. A fully managed service or self-service option. A streamlined and automated mobile media buying process. Ownership of more data to support future campaign planning.